Application programming interface (API) has hoisted itself from being a development technique to a business model driver and boardroom contemplation. Modern day digitally altered businesses have effectively coordinated data analytics, applications, and APIs into their working model, and have added a digital element to their customers’ or employees‘ experience. Although they realize that digital innovation and two-speed IT architecture requires delivery of secure APIs consistently across digital and mobile channel applications, supporting the speed at which business demands data for innovation and improving customer insights across all channels is a hindrance. This is where Australia based Nexright adds value to an organization’s business. The firm provides its customers with API programs for digital foundation by leveraging unique ‘Go- To-Market API strategy and implementation services’. 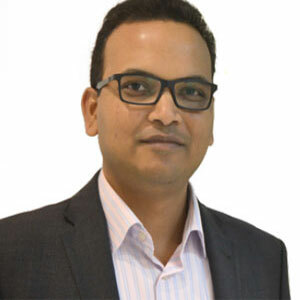 “As part of this engagement, experts at Nexright enable an API program that includes discovering, defining, designing, and deploying of custom-built APIs,” says Dilip Mohapatra, Director of Nexright. The Go-to-Market package from Nexright strategy services is essential in launching a platform or bringing it back on track effectively, while expertly adjusting an association's resources and assets with business objectives. As part of Nexright’s API security services, the company does an API asset classification based on security, compliance, and privacy needs for public, partner, or internal APIs. “Security Token Service and standards-based Authorization Server address security issue as developers can add the identity information to SOAP (WS- Trust) or REST-based (OAuth) API calls,” explains Dilip. “These services prevent unauthorized access to data, deliver secure mobile applications, and ensure the right identity information for proper auditing and monitoring.” Further assessment is done based on types of mobile or digital apps that need to be supported, which may have additional security needs. Nexright is currently helping a leading superannuation fund in establishing an API centre of Excellence. The customer commissioned Nexright to review its API management and Single Sign On requirements while providing a plan to align sustainable API management and security strategy with client’s digital business objectives. The company recommended establishing an API capability by leveraging an On-premise plus Cloud hybrid Enterprise API management platform. Nexright also suggested an access management gateway based solution to consolidate Web and API access management, leveraging Identity defined security with open standards like OAuth 2.0, OpenID Connect, and SAML. It is pertinent to mention that once a solution is implemented Nexright assigns a Customer Program Success Manager (CPSM) with the primary focus on helping customers successfully achieve their desired API Business strategy and goals. Nexright is part of many federal and state government boards including Australian whole-of-government Cloud Services Panel and continually invests in research and development. They also concentrate on building various solution accelerators, which speed up project implementations, help clients in putting innovative ideas in play faster and with less risk. “Nexright has been expanding its presence globally, with no compromise on accessibility to a pool of skilled, quality resources, and aims to do so in the days to come,” concludes Dilip.